It is devastating to realize that 1 of 22 residential homes is bound to catch fire as a result of cooking fire every year. Based on recent stats, kitchen fires, especially those arising from unattended cooking, happened to be the leading cause of most fire breakouts, far more than any other fires such as those generated by fireplace zones, electrical appliances, home smoking and fires from furnaces. 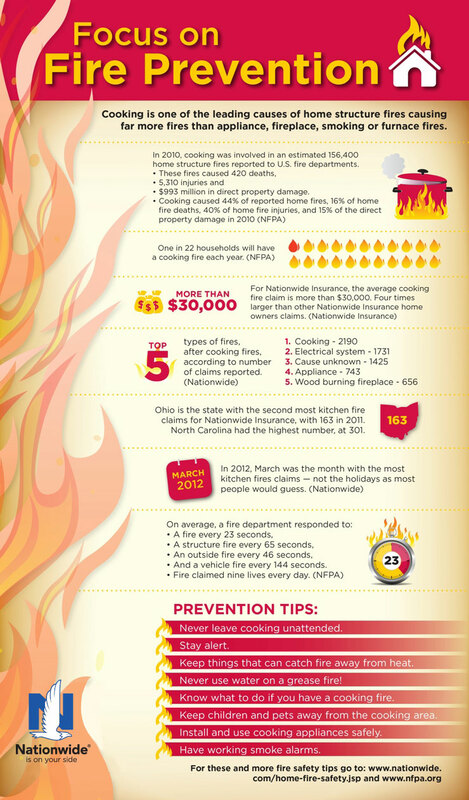 In a year, kitchen fires can account for 5,000 injuries, over 400 deaths and destruction of property worth $993 million dollars. For more tips on fire safety for your house, for kids at school or for a work area, look up our series on fire safety immediately.